It has been a fairytale week for Dave Edwards after 12 years away from his boyhood club. He has achieved a lot since leaving Gay Meadow. Most in the gold and black of Wolves – and a fair chunk in Wales red. A return to Salopia, his home, was never a secret. It always felt like something that was going to happen. All of a sudden it was a possibility. 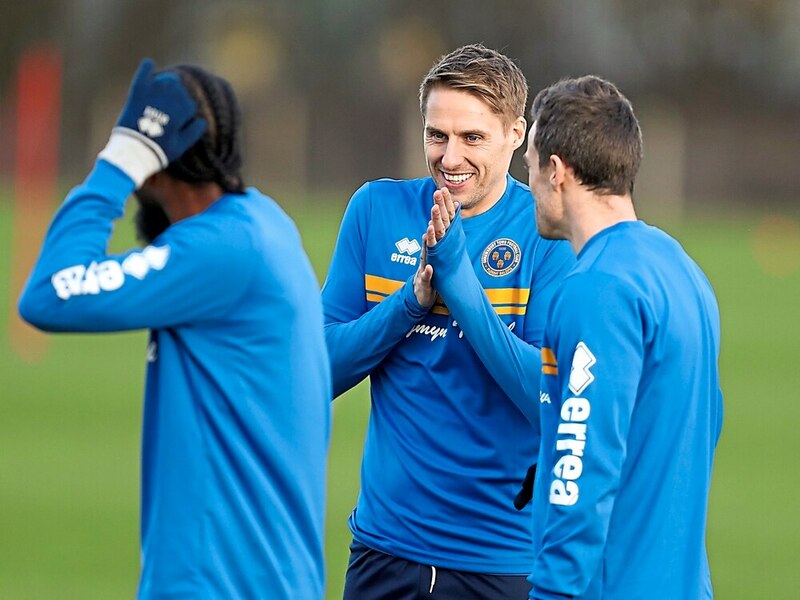 And since putting pen to paper at Montgomery Waters Meadow to become a Shrewsbury Town player – again – he hasn’t stopped smiling. He left Shrewsbury ‘under a storm’, as he puts it, forced out by former boss Gary Peters and not considered to play at Wembley in a play-off final. Instead, he went as a fan. And this dream return, to his club, is a chance to write a new chapter and a happy ending. “A bit of closure on it all, yes,” Edwards, who turns 33 next month, said with a satisfied smile at his press unveiling. “That’s what I was thinking today as I drove in. The last time I pulled out this training ground I was balling my eyes out at the steering wheel after being told I wasn’t needed. “Apart from when I did my medical (before rejoining), that was the last time. It was a really emotional day for me then. “I won’t go through it again, but when the manager knew I wasn’t signing my contract, that I wanted to wait to the end of the season before making up my mind, he didn’t want me and asked me to kindly get out the training ground. “That was tough for me. To leave under that storm wasn’t nice, I hope I can come back and be a part of a successful team, that’s important to me. “I want to be successful as a footballer and I want this club to be successful more than any other I’ve played for. 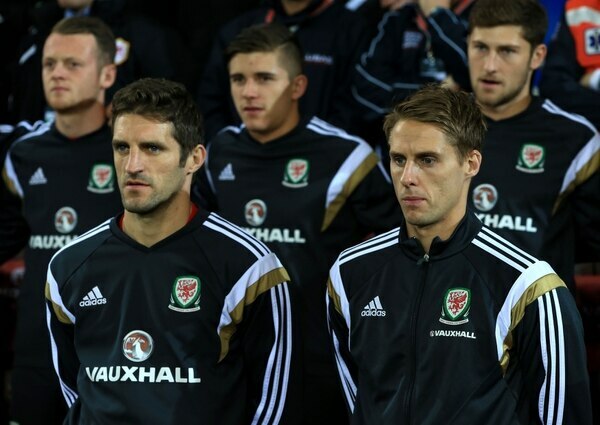 The former Wales international has hooked up with his friend and former Wolves and Wales colleague Sam Ricketts, who took the Town job last month. This was not the reason for his return. That – if it was feasible for the club – would have happened no matter who was in charge. But the reunion with ex-Molineux comrade and leader makes it all the more sweeter. Ricketts is fondly remembered in Wolverhampton as a stalwart of Wolves’ title-winning League One campaign of 2013/14. Edwards spent nine years at Molineux and scored 44 goals in 307 games for Wolves, including nine goals in that title season. Edwards and Ricketts know each other well. Edwards, capped 43 times by Wales, always knew that Ricketts, capped 52 times by Wales, had a bright future in the game after hanging up his boots. “He’s always been so analytical about the game. I remember at Wolves with Kenny Jackett, he would be questioning everything,” explained the midfielder. “Everything we did in training, everything we did in games, Sam would have his own opinion on it. “Not just the way he is, everyone normally concentrates on themselves, but the team as a whole and how it functions. Right from an early age he said he wanted to be a manager when the time was right. “At the back end of his career, the moves he was making were to get in that position. He had quite a few options to play in the Championship on a lot more money than Coventry but he felt he could do the coaching side of things, he felt it’d be better in the long term development as a manager before he went back to Wolves again to coach. “He’s always had that eye for seeing things in a game that the average player or fan wouldn’t see, it’s only going to get better as a manager. “He’s always had that leadership skill as well, he was a big leader at Wolves, coming in as club captain and straight away got the respect of the dressing room. “You can see that here, the way he talks to the boys, they really respect him, he’s got that authority. Tactically, from what I know, he’s very good. Edwards has had plenty of success at the highest level. And the midfielder, so accustomed to arriving late into the box to score, used to enjoy one particular trick of his former team-mate, who played right-back. Edwards said: “He was always great to play with, he would constantly talk in the game, it was like he was always watching from a different view. “He could see things happening and that would help me as a player ahead of him, I used to love his chop and cross, that’s what he used to do all the time. Edwards’ final days at previous club Reading were unhappy ones. He injured his knee ligaments a few days before the start of the Royals’ Championship campaign after flying into a tackle when he heard he wasn’t in Paul Clement’s team. 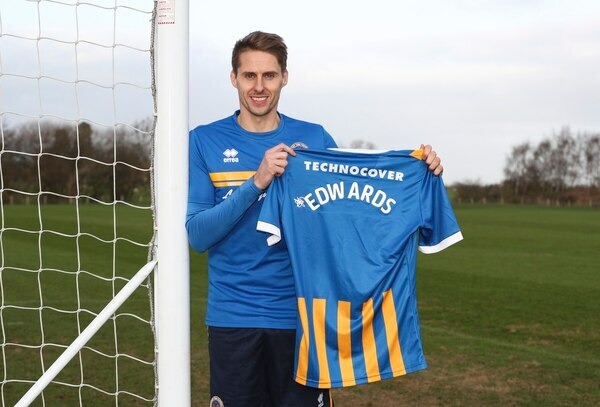 That injury meant Edwards played no football for Reading this season, the club he was commuting to up and down from Pontesbury near Shrewsbury. “I was part of that (unwanted) group and it was a difficult last couple of weeks. I knew I wanted to leave and come back,” added the midfielder. “It was more sorting out the financial side of things. We managed to get that done, it was quite tough, but as soon as it happened I was delighted Shrewsbury were interested. “I was putting all my effort to making that happen. Perhaps financially, my bank manager wouldn’t be happy with the decision I made! But the club have been absolutely amazing with me. At Shrewsbury he is not just wanted, he is worshipped and loved. Today’s visit of Charlton in League One will bring a boosted gate owing to the Edwards factor, though it remains to be seen whether Edwards makes Ricketts’ matchday 18. Either way, there’ll be plenty of nerves for the former European Championship semi-finalist. “Scary, I think, probably,” was his reaction to a possible ‘second debut’ after a first some 16 years ago. “One of most nervous I’ve ever been in a football match was when I came off the bench in the League One game with Wolves playing there (at Shrewsbury). I was very nervous coming on that game and I got an unbelievable reception, my family were there and couldn’t believe it. The family man added: “There are so many Shrewsbury fans now when you go to the schools, wearing shirts, which is incredible. I’m sure it wasn’t quite like that when I was playing for the Town. “My little boy went to school this morning a very proud boy, that his dad’s back at Shrewsbury. He’s got lots of mates that come to the games every single week. “I can finally turn him into a proper Shrewsbury fan now, he tried to kid himself that he’s a Wolves fan and a Man City fan after Joe (Hart, former Town team-mate) invited him to a game once. Sports reporter with the Express & Star and Shropshire Star. Covering Shrewsbury Town and with a keen eye for non-league and grassroots. Preview: Wolves v Brighton – Back on track after Vitamin D? Wolves video: Time for a change vs Brighton?